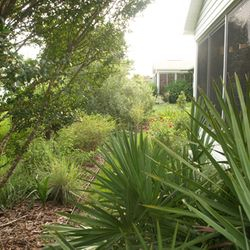 Many Floridians are beginning to understand the benefits of decreasing lawn and adding mixed beds of perennials and shrubs to their landscapes. 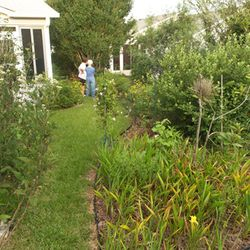 They are also increasingly interested in native plant landscapes that may enhance wildlife habitat potential while possibly decreasing the need for expensive inputs like water, fertilizer, and/or pesticides. 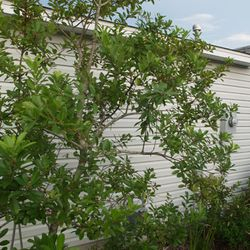 However, despite an interest in making some changes, many homeowners resist carrying through with these positive steps because of the potential problems they may have with maintaining the landscape. Many residents do not consider themselves "gardeners" and do not want to spend hours a month doing yard work. Others rely totally on contracted lawn care "specialists", who are only interested in mowing lawns, as quickly and efficiently as possible, and then moving on. But there is an alternative. 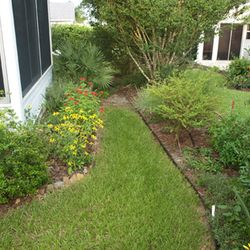 We understand the need for help that can do the work required to maintain a landscape that is not just St. Augustine grass. 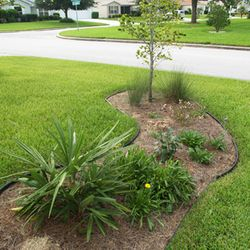 Whether you have existing shrub and perennial beds, or want to install more in your landscape, we can help you maintain them. 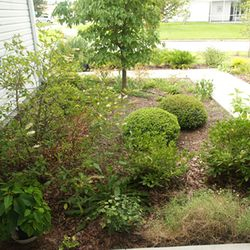 We will prune shrubs, hedges, and trees. We will weed your beds. And we'll mow your lawn, too....with a quiet, battery-powered mower. 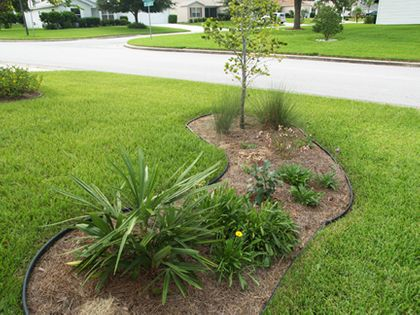 But we will NOT apply fertilizers, herbicides, or pesticides to your landscape. 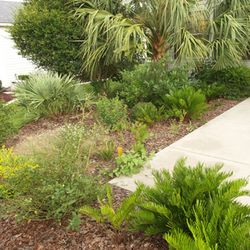 We will do the labor-intensive work for you, while putting aside the environmentally-destructive practices common to other landscape maintenance companies. Click here to print our maintenance contract. Or you can call Terry at 352-408-6616 to discuss our service. If you have lived very long in Florida, you already know how important a topic WATER is in our local communities. The quantity and quality of our local waters is a key to future quality of life and economic issues. 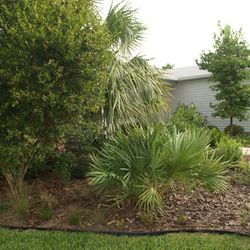 But did you know that as much as half the water used by Florida's households is spent outdoors, mostly on lawn and garden irrigation? Or that 90% of all public water supply is drawn from underground, primarily the Floridan aquifer. Even though that aquifer's resources are limited and determined by unreliable recharges, or refills, by rainfall, we still pump billions of gallons from it each day! This not only threatens our potable water supply, but increases the likelihood for sinkhole formation. 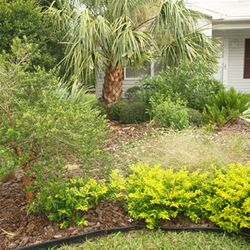 For more information about Florida-Friendly Landscaping Principles, please visit www.floridayards.org . You will learn a lot!